I received a phone call recently from a person who was very frustrated with his tax situation. He was expecting a large refund from his 2017 federal tax return which he filed right at the October 2018 deadline. He didn’t get all of the refund because the IRS garnished or levied part of his 2017 refund in order to pay outstanding balances for tax years 2015 and 2016. He asked me if I could help him. I said I could but first I needed to gather some information. The best way to find out the tax history of a client is to request transcripts of the taxpayer’s filings for the past several years after the client signs a Power of Attorney (Form 2848) giving the tax professional the right to represent him or her before the IRS. Tax Return Transcript – An almost line by line view of the filed tax return. Available for current and three (3) prior filing years. Tax Account Transcript – A history of each tax year showing filings, payments, penalties, balances due and refunds. Available for every year that the client info is on IRS Master File. Wage and Income – All income reported to the IRS by third parties such as employers, banks, investment firms, mortgage companies and contractors. Available for current plus nine (9) prior years. Record of Account – Combines information from the tax return transcripts and tax account transcripts onto one report. In order to help a client who comes to you in a distressed frame of mind, you first must figure out what happened here. Is the client telling you everything? Were errors made in the original preparation of the returns? Is the IRS incorrect in their interpretation of a tax provision? These transcripts contain a wealth of information (called transaction codes) which enable a trained tax professional (Yours Truly) to determine what happened every step of the way in the processing of the returns and the subsequent collection enforcement actions taken against the taxpayer by the IRS. 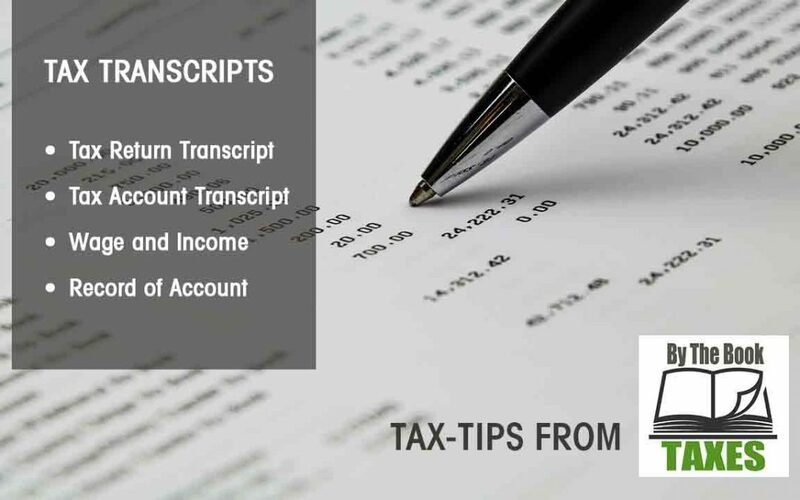 Having the training and expertise in reading these transcripts is critical to crafting a strategy to help the client resolve their tax problems.